Being built in 1990, Hoi An Hotel is one of the oldest hotels in Hoi An, thereby, the hotel has vast experiences in serving domestic and international travelers visiting Hoi An Old Town. In 2014, the hotel was renovated to better serve traveler’s demands. 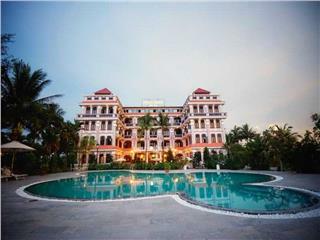 Hoi An Hotel is one of 4 star hotels in Hoi An located in No. 10 Tran Hung Dao Street, Hoi An City, Quang Nam Province. From Hoi An Hotel, it takes about 35 kilometers to arrive in Da Nang International Airport and only 5 kilometers to Cua Dai Beach. Hoi An Hotel is an ideal base to visit Hoi An and its surrounding attractions like My Som Cham Temple or the former Imperial Capital of Hue. The hotel has 150 spacious guestrooms, including 38 Superior, 77 Deluxe, 30 Junior Suite, 4 Grand Suite and 1 President Suite, ranging in size from 32 - 80 square meters. All guest room in the hotel follow 4 star international standards. They are furnished with basic amenities such as Hi speed Wi-Fi available in all guestrooms and public areas, Internet Protocol Television, IDD telephone, air-conditioners with individual temperature control, electronic door locks, mini bar, full bath amenities, safety box, and smoke detectors. Similar to other Hoi An deluxe hotels, Hoi An Hotel is outfitted with standard amenities (bar and restaurant, BBQ facilities, business center, meeting facilities, elevator, safety deposit boxes, hair salon, etc.) and 4-star services (spa treatments and services, executive business center and services, concierge services, business center, twice-daily housekeeping service, 24-hour in-room dining, daily laundry, travel desk, cooking class, baby sitter, free shuttle bus service to Cua Dai Beach, and so on). Staying in the hotel, guests can entertain with the hotel recreational facilities like outdoor swimming pool, tennis court, spa and massage, Lotus beauty, fitness center…For culinary delights, Hoi An Hotel has two restaurants including Indochine Corner and The Oaks Terrace and one Western Bar. Business travelers who come to Hoian Hotel to take advantage of its superlative, state-of-the-art conference facilities can have every confidence that they have settled on the best venue by far in the area for their meeting or conference. 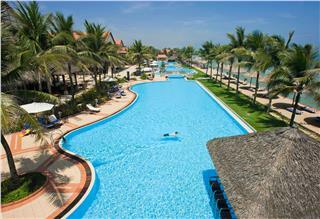 Generally, Hoi An Hotel is one of great Hoi An 4 star hotels for traveler’s holiday in Hoi An. Hoi An Hotel has 150 international standard guest rooms. These rooms are classified into five types including Superior, Deluxe, Junior Suite, Grand Suite, and President Suite. Hoi An Hotel’s guest rooms has the average area fluctuating from 32 to 80 square meters. All room types are elegantly appointed and decorated in an inviting turn-of-the-century style, with dark wood furnishings, white crown moldings, stylish light fixtures, muted color schemes. Besides, each guestroom has a private front balcony and a spectacular view of the spacious garden. + custom dark wood furnishings, a muted color scheme and handsome works of regional art. 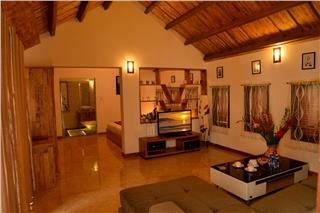 + consists of 2 bed rooms and a large living room with full facilities and equipment. 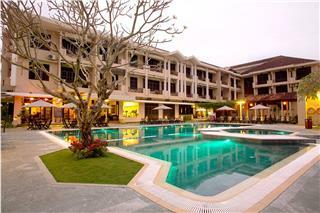 As one of deluxe hotels in Hoi An, Hoi An Hotel features modern amenities and offers the high quality services. Hoi An Old Town is known as a famous World Heritage Site. The Ancient Town is close to other tourist destinations in Vietnam like Da Nang City and Hue city, therefore, there are many sightseeing spots for tourists to discover. Some must-to-visit of travelers when visiting Hoi An are My Son Holy Land, Marble Mountain, Cham Museum, Monkey Mountain at Son Tra, Hue City Tour, Bana Mountain, Hai Van Pass, Tra Que Vegetable Village, and Kim Bong Carpentry Village. To help tourists explore Hoi An more enjoyable and convenient, the hotel provides Hoi An tours such as walking tour to Hoi An's countryside or Tra Que Village cooking tour. 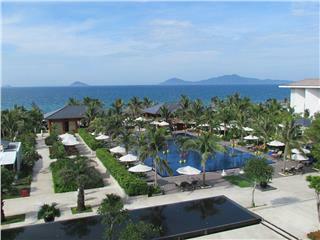 To experience a wonderful excursion in Hoi An, do not hesitate to contact to the hotel’s staffs and get more information. In addition to Hoi An tours, guests can take part in many activities held by the hotel such as Cooking Class, Vietnamese Learning Class, and Tai Chi Lesson. There are also many other amenities to enhance guests experience when staying in the hotel like fitness center, children’s playground, outdoor swimming pool, private beach, tennis courts, etc. Hoi An Hotel has 2 restaurants (Indochine Corner and The Oaks Terrace) and one bar (Western Bar) to serve guest’s demands of foods and drinks. Indochine Corner specializes in Vietnamese and Asian cuisines. It is decorated with traditional Asian interiors in airy space and indoor seating. Every morning, guests can come to Indochine Corner to enjoy buffet breakfast with a wide selection of Asian and also Western dishes. In contrast to Indochine Corner, The Oaks Terrace brings European style to Hoi An. An all-day dining venue spread across the oak trees, its classical design creates an inviting and informal venue to welcome the guests. There is also a specially designed international A la carte menu for lunch, dinner and theme parties. In addition to 2 restaurants, Western Bar is also a great place to enjoy Italian cuisine. Western Bar provides a panoramic view of the hotel’s pool and garden. - Maximum 1 infant stays free of charge in a child's cot. - The second child will be charged as Adult Rate. - Child 12 years old or over are charged as Adult Rate. - Extra bed is USD $30++/bed/night, breakfast included. - Maximum 1 extra bed or child's cot in a room. - 3 days before date of arrival, NO fee will be charged. - Cancelled or modified later, first night will be charged. - In case of no-show, the total price will be charged. - Two-nights’ accommodation at Deluxe Room. - Daily Buffet Breakfast for 02 persons. - Welcome flower and fruit plate in room on arrival. - A Half day guided tour with all entrances fees to Hoi An Ancient Town. - My Son Sanctuary excursion by bus and boat with entrance fees and light lunch on boat. - 40 minutes Traditional feet massage per person. - Complimentary use of Fitness center, Kid club, swimming pool, internet at business center or Wi-Fi internet access throughout the hotel. - Free join in Tai-chi lessons and Vietnamese language class based on schedule. - All rates are in VND and are subject to 10% tax and 5% service charge. - The above benefits may not use in conjunction with other discount or exchange for any other service or cash. 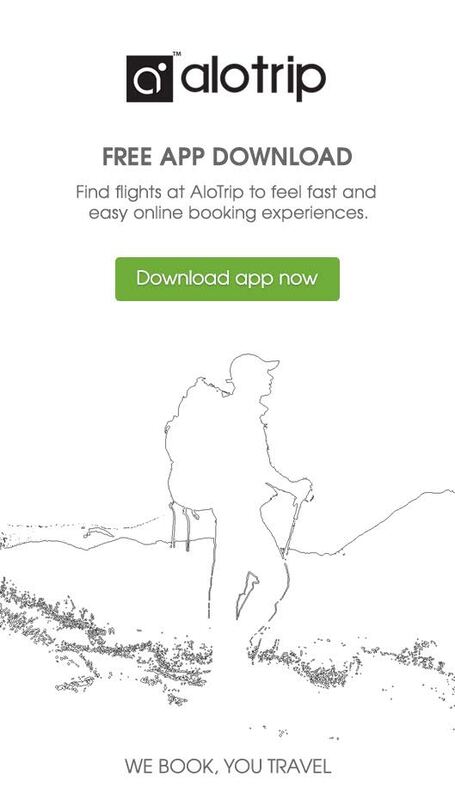 - Flight details must be provided 72 hours prior to arrival for van transfers to be arranged. - Complimentary use of Fitness center, swimming pool, internet at business center Wi-Fi internet access throughout the hotel. - One Hoi An Hotel signature cocktails per day per person. - Complimentary use of Fitness centre, swimming pool, internet at business centreWifi internet access throughout the hotel. -The above benefits may not used in conjunction with other discount or exchange for any other service or cash. - One private babysitting service in 02 hours. - One family Light Lunch with drinks for 02 persons and 02 children. -The rates quoted for a family of 2 adults and 2 children aged 12 years and under. 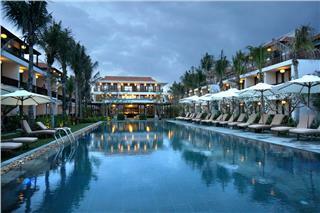 Victoria Hoi An Beach Resort & Spa is one of 4 star Hoi An resorts. Having one side facing Thu Bon River and another side facing Cua Dai Beach, Victoria Hoi An Beach Resort & Spa is truly an ideal place to release stress an live in harmony with nature. Receiving many good feedbacks from TripAdvisor – the world’s prestigious and well-known tourism website, Thanh Binh Riverside Hotel is one of great Hoi An hotels for both leisure travelers and businessmen setting foot in Hoi An. 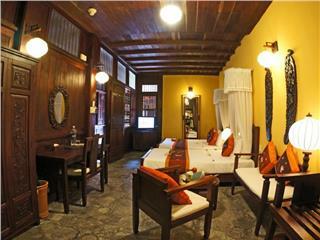 Little Hoi An Boutique Hotel & Spa is one of the best choices of tourists when traveling Hoi An. The hotel located by Hoai River possesses 30 deluxe rooms and suites with modern and international standards. The average rate is from 118 USD/night. 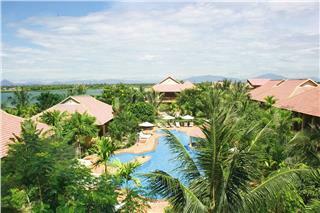 Vinh Hung Riverside Resort & Spa is one of Hoi An 4 star resorts. The resort has 89 beautiful and spacious rooms which are well-appointed. Since its inception, Vinh Hung Riverside Resort & Spa is considered as home in Hoi An of many travelers. 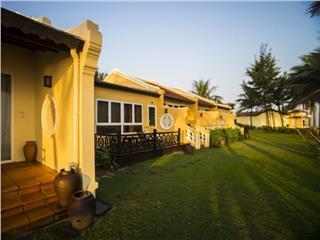 Riverside Garden Villas is a 3 star hotel in Hoi An. In Riverside Garden Villas, every effort is made to make clients satisfied with the hotel’s services and amenities, thereby, guests will be fully assured when choosing this hotel. Lotus Hoi An Boutique Hotel & Spa is a 3-star hotel in Hoi An offering guests fiver room types including Superior, Deluxe, Senior Deluxe, Lotus Suite, and Family Room. Depending on room type, the room rates are fluctuating from 75 – 122 USD. 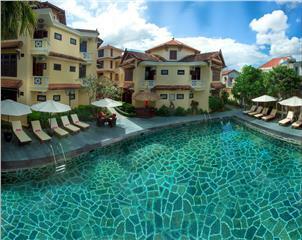 Pho Hoi Riverside Resort is one of superior Hoi An resorts located in the center of the Old Town. With the room rates fluctuating from US $ 47 – 145, the resort will provide guests a memorable and comfortable stay to explore one of World Heritage Site. Having 65 guests rooms, Indochine Hoi An Hotel offer guest a good accommodation with the room rate fluctuating from 80 – 140 USD. Being outfitted with modern facilities and great services, the hotel is one of good choice among superior hotels in Hoi An. Golden Sand Resort & Spa is an opulent resort having the largest outdoor pool in Central Vietnam, along with over 200 luxury rooms and suites. Staying at the resort and enjoying its high-end services bring guests unforgettable moments. Hoi An Green Life Homestay is one of lovely 3 star hotels in Hoi An, a few steps to the center of Hoi An Ancient Town. Having 9 spacious and beautiful-decorated guest rooms, the hotel is considered as one of best hotels in Hoi An for budget travelers. The Nam Hai Resort includes 100 luxury villas designed in traditional Vietnamese house in combination with modern amenities. 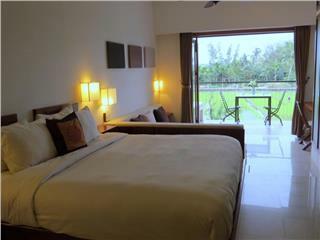 Possessing a contemporary architecture and prime location, The Nam Hai is a perfect choice for holidays in Hoi An. 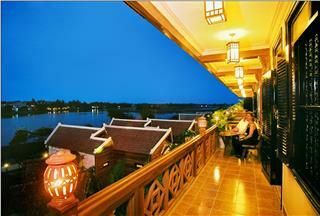 Phuoc An River Hotel is a 3 star hotel in Hoi An. 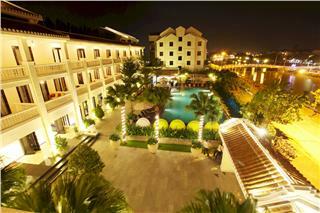 The hotel is situated at the heart of Hoi An Ancient Town, just 45 minutes to from Da Nang International Airport. The hotel has 40 rooms offering guest comfortable accommodations. 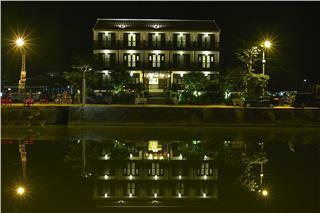 Vinh Hung Heritage Hotel is one of Hoi An budget hotels nestled in the center of the town. Carrying the soul of the 200-year-old town house, Vinh Hung Heritage Hotel offer guests comfortable and ancient ambience to relax in a museum-like stay. 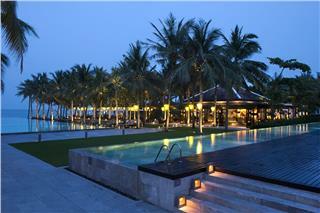 Sunrise Hoi An Beach Resort is an opulent vacation spot in Hoi An. 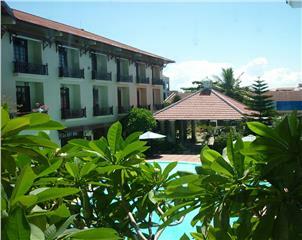 The luxury resort is located near Cua Dai Beach and many striking attractions here. Paying from 248 USD per night, you will have unforgettable time with best services. Having 69 guest rooms, Golf Hoi An Hotel is one of cheap hotels in Hoi An offering guest a basic dwelling place to explore the famous Ancient Town of Vietnam. All guest rooms are decorated with yellow color and wooden furniture to bring cozy atmosphere.